There was a storm in the night, but the morning was very calm and sunny. The road to Gernika was through forests and small towns. 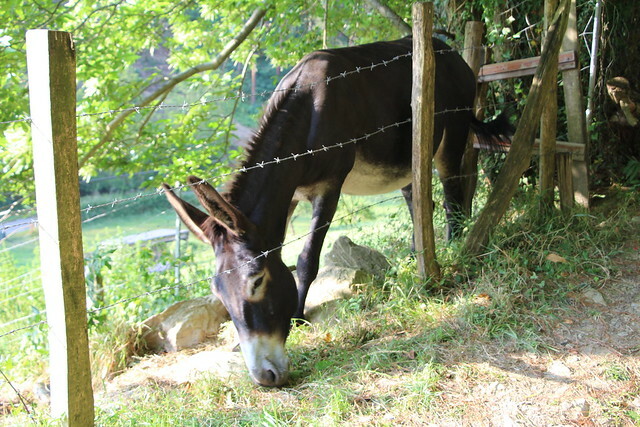 When we passed this donkey, we met an old lady who was also walking the Camino – she was taking a break, but when we took our break – she passed us, and then after a while we passed her again.